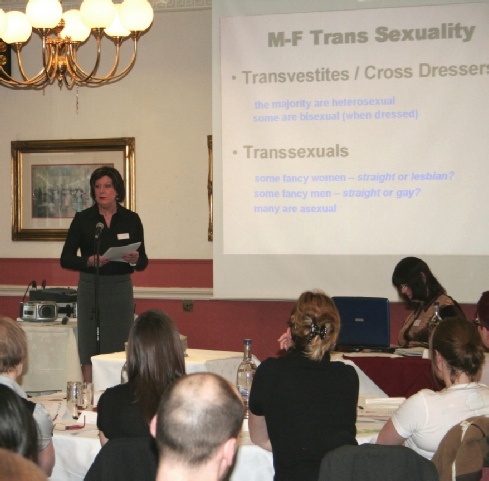 Unique Committee members regularly take part in various activities to facilitate understanding of Trans* issues and improve relations between the Trans* community and the rest of society. 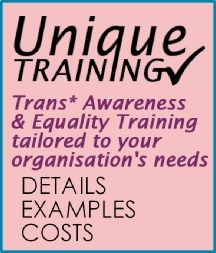 Unique has the necessary knowledge of the subject and wide experience of the Trans* community to offer expert training on Trans* related diversity awareness and equality. Committee members also consult with a number of organisations on these matters, including local councils, universities, Welsh Health, the Welsh Assembly and the national Parliamentary Forum on gender identity.